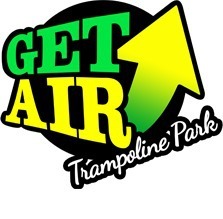 Get Air Trampoline Parks feature wall-to-wall trampolines, slacklines, slamball, long tumbling tracks, and dodge ball courts! Come try our newest feature the ninja obstacle course. Get Air is fun for the entire family! Buy one jump hour get the second hour half off with the Utah Kids Club Card.